吴进, 李琛, 于波, 等, 2018. 两类短时强降水天气边界层气象要素变化特征[J]. 气象, 44(7): 902-910. DOI: 10.7519/j.issn.1000-0526.2018.07.005. 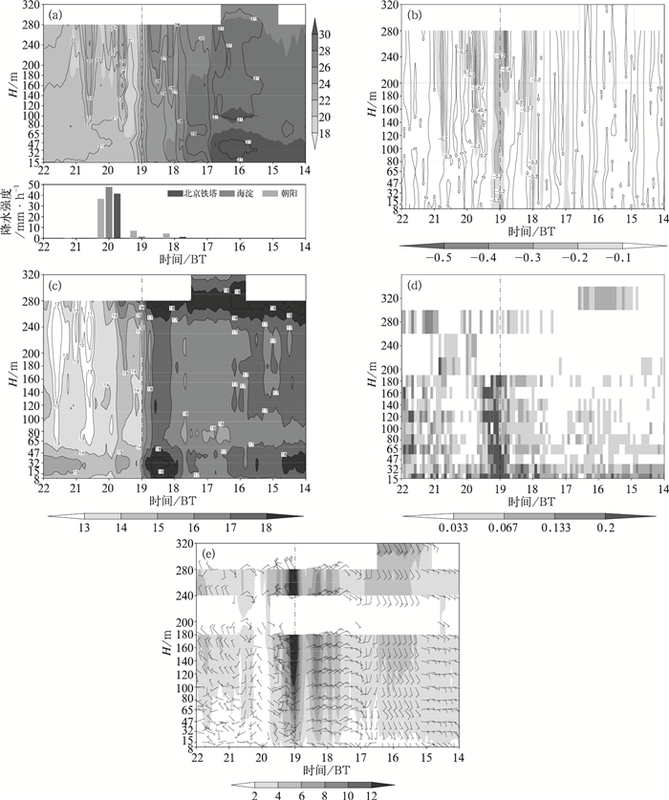 WU Jin, LI Chen, YU Bo, et al, 2018. 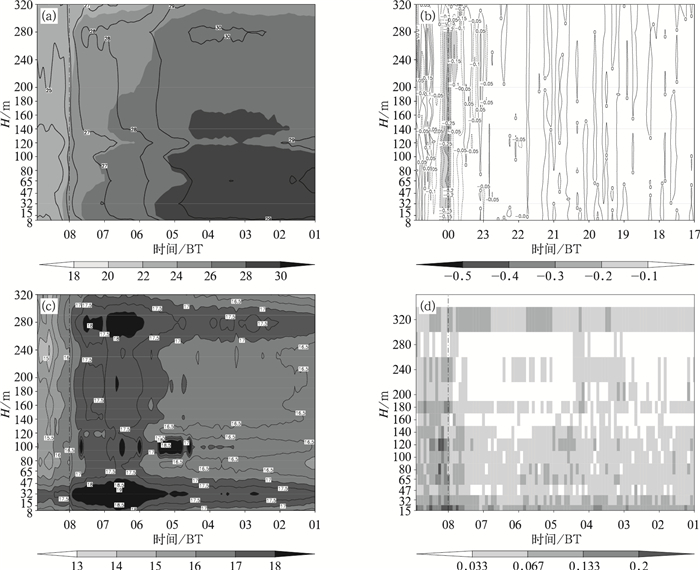 Study on the Variation Characteristics of Meteorological Elements in the Boundary Layer of Two Types of Short-Time Heavy Rainfall[J]. Meteorological Monthly, 44(7): 902-910. DOI: 10.7519/j.issn.1000-0526.2018.07.005. Abstract: This article focuses on the application of the 2013-2015 Beijing meteorological tower data and derivative data, combined with conventional and unconventional observation data, such as VDRAS, automatic weather stations and NCEP reanalysis data. According to the evolution of the boundary layer elements, short-time heavy precipitation is divided into two types, one has the surface convergence line and the other has not. And we also focus on the evolution of the boundary layer elements of the two types short-time rainfalls to find the forecasting signal before heavy rainfalls occur in summer, which could provide reference for the short-time heavy rainfall forecasting. The results show that varivation of the elements of the meteorological power can not predict for the occurrence of the non-surface convergence line type, but it has certain guiding significance to the short-time severe rainfall of the surface convergence line type. Before such type of heavy rain occurs, the temperature and potential temperature begin to decrease obviously and decline rate gradually increases. The temperature change rate gradually increases to -0.35℃ per minute. The specific humidity increases significantly 3 h before the start of the heavy rainfall below 325 m. When it begins to rain, the specific humidity decreases about 3.5 g·kg-1 during 20 min before the rainfall begins. The low-level wind shear is up to the strong degree. But the specific humidity and low-level wind shear can show the signals at 10-20 min lead time. So the evolution of tower meteorological elements and the physical quantities have indicative meaning for the forecasting and warning of short-time rainfall of surface convergence line type. 程雪玲, 胡非, 曾庆存, 等, 2014. 北京325 m气象塔塔体对测风影响的数值模拟[J]. 气象科技, 42(4): 545-549, 569. 江玉华, 王强, 张宏升, 等, 2010. 在北京气象塔上测量城市边界层辐射特征[J]. 高原气象, 29(4): 918-928. 李倩, 刘辉志, 胡非, 等, 2004. 大风天气下北京城市边界层阵风结构特征[J]. 中国科学院研究生院学报, 21(1): 40-44. 李昕, 安俊琳, 王跃思, 等, 2003. 北京气象塔夏季大气臭氧观测研究[J]. 中国环境科学, 23(4): 353-357. 刘熙明, 胡非, 邹海波, 等, 2010. 北京地区一次典型大雾天气过程的边界层特征分析[J]. 高原气象, 29(5): 1174-1182. 刘小红, 洪钟祥, 1996. 北京地区一次特大强风过程边界层结构的研究[J]. 大气科学, 20(2): 223-228. 蒙伟光, 闫敬华, 扈海波, 2007. 城市化对珠江三角洲强雷暴天气的可能影响[J]. 大气科学, 31(2): 364-376. 孙继松, 2005. 气流的垂直分布对地形雨落区的影响[J]. 高原气象, 24(1): 62-69. 孙继松, 王华, 王令, 等, 2006. 城市边界层过程在北京2004年7月10日局地暴雨过程中的作用[J]. 大气科学, 30(2): 221-234. 孙密娜, 易笑园, 闫志超, 等, 2013. 渤海西岸降雪过程中偏东风在250 m塔层内的特征分析[J]. 气象与环境学报, 29(5): 35-42. 王学永, 金维明, 洪钟祥, 等, 1986. 雷暴型风切变及其对飞机飞行影响的初步探讨[J]. 大气科学, 10(1): 55-67. 王正兴, 江玉华, 李炬, 等, 2009. 在北京气象铁塔上测量城市边界层辐射的研究[J]. 高原气象, 28(1): 20-27. 吴彬贵, 张宏升, 张长春, 等, 2008. 天津南部地区平流雾过程塔层气象要素特征分析[J]. 北京大学学报(自然科学版), 44(5): 744-750. 张光智, 卞林根, 王继志, 等, 2005. 北京及周边地区雾形成的边界层特征[J]. 中国科学:地球科学, 35(S1): 73-83. 赵树海, 1994. 航空气象学[J]. 北京: 气象出版社: 59-89. Chen M X, Sun J, Wang Y C, 2007. 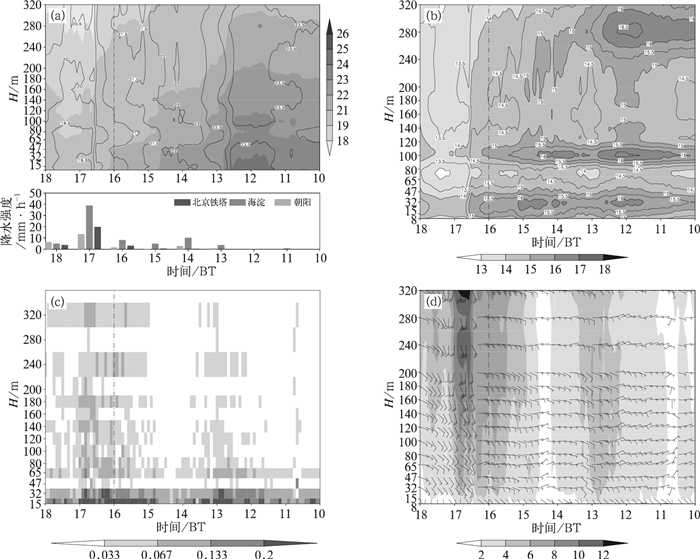 A frequent-updating high-resolution analysis system based on radar data for the 2008 summer Olympic[C]//Preprints, the 33rd International Conference on Radar Meteorology. Cairns, Australia: American Meteor Society.